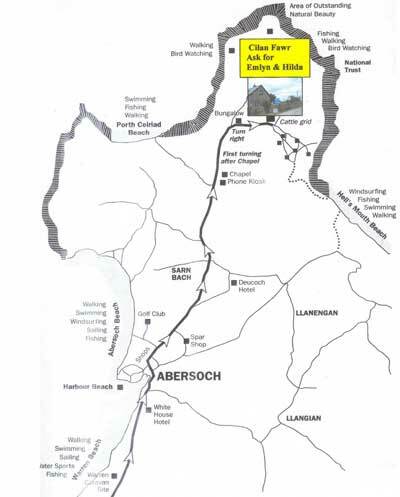 Map directions for Cilan Fawr, Cilan, Abersoch, North Wales. LL53 7DD. For camping, sailing, Water sports, walking, horse riding and holiday accommodation. Take the A499 from Pwllheli. the cattle grid onto the headland. Take the main Pwllheli to Abersoch road. The Warren Caravan Site is on the left before you enter Abersoch. Please follow the map from that point. Click on the map or here to see a larger map.